If I put a form colapse on the top of the form in preview it seems OK but when looking on the web-site the page doesn't show (see print-screen). I tried both without page breaks and with page breaks. The result is the same. (I removed the page collapse since I needed the form to be available on the site). Can you guys assist me please? Are you still having this issue? Can you share to us the URL of the website so we can also check the form? I checked your form, and I found there is no longer a collapse field on it. There are page-break field instead. Previewing the form directly using the URL did not present any issue, and was able to use it. the URL of the preview form is OK : http://form.jotform.us/form/30173507153143? 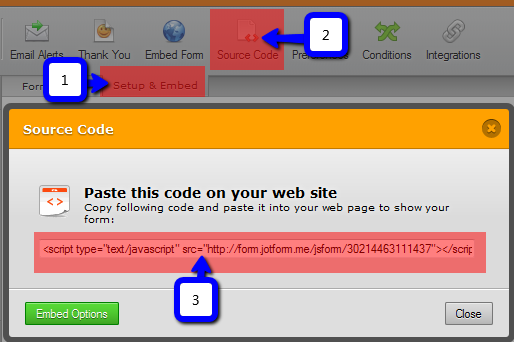 Have you tried embedding your form using the default script embed code? If not, I'd suggest to re-embed your form using that embed code as it is very useful for forms with page breaks so the form automatically change its height depending on the form fields length. I tried your suggestion and it worked. I realized the fact that I was using the Embed code for the iframe and this was causing this unusual behavior. Thank you very much for your assistance. Cheers ! If you run into any problems using JotForm, just message us here anytime.